We build smart Mobile CRM for brands to stay connected at every micro-moment. Say hello when someone's near your store. 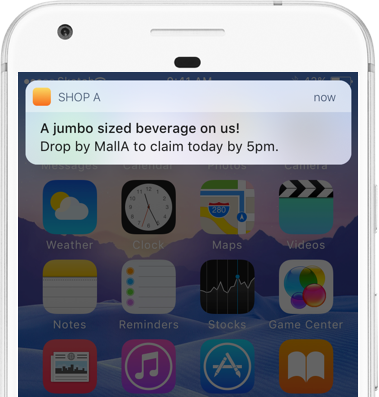 Automate any message to your customers at a set proximity with our Geo Fencing technology. Nudge users when their wishlist items are on sale; or remind them when to collect double reward using our Automate Engagement. Data will tell the story. Or will they? Well, collecting data is not difficult, but making sense of them is. Our Smart Insights distills data into insights, so that you can focus on strategizing your next move. Tangoflare is a powerful tool with simple experiences. Be personal, be insightful, be ingenious - through the power of mobile marketing. We are hard at work on introducing a free tier for startups very soon. Join the waitlist to get notified! Copyright 2017 All Reserved by Atom Node Pty Ltd.